For Outstanding non-combat meritorious achievement or service to the United States. 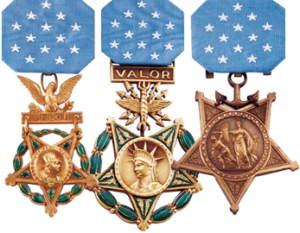 Established in 1969, the Meritorious Service Medal is a junior award of the Legion of Merit and is presented for either outstanding achievement or meritorious service in a non-combat situation or setting. 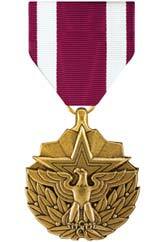 Prior to introduction of the Meritorious Service Medal, the Bronze Star Medal was awarded for such achievement or meritorious service that is now designated by the MSM.